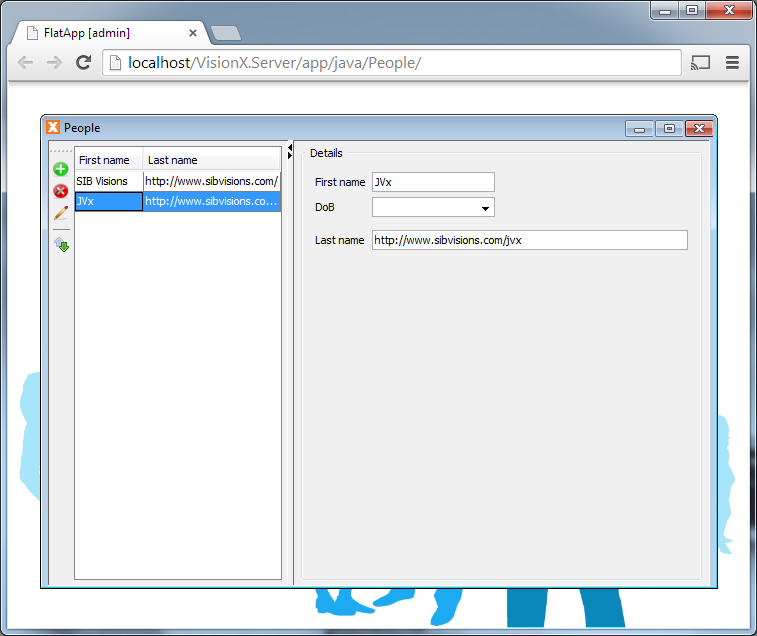 Our first Eclipse Plugin for JVx and VisionX will be available in a few weeks. We're feature complete and are in the internal test phase. We're extremely surprised about the productivity boost. With VisionX it's currently possible to create and deploy professional database applications in few minutes. The development process is super fast because of VisionX and some really useful features like Action wizard and GUI designer. The missing piece was the IDE integration. 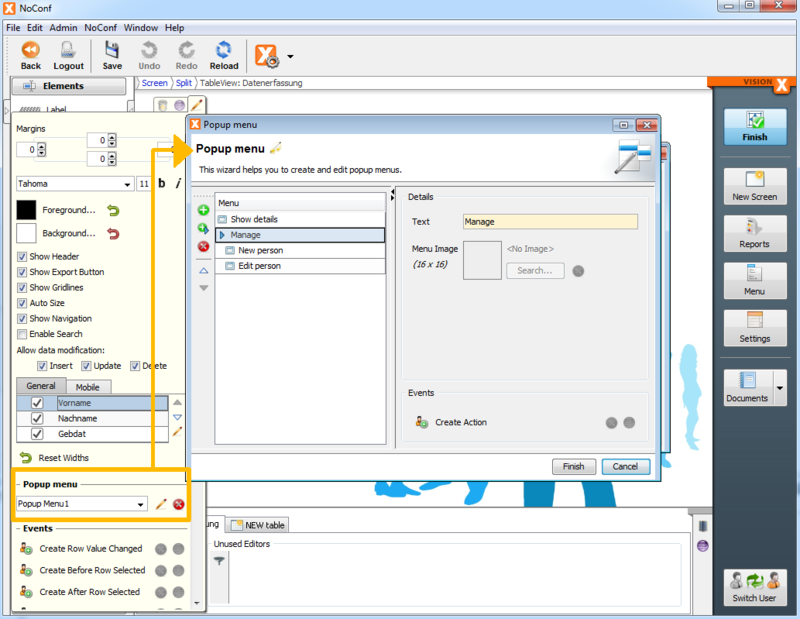 It was possible to use Eclipse as IDE to modify VisionX applications, live and bidirectional. The only problem was that it was not easy to find the right line of code or member to do modifications. It wasn't a big problem but it was a waste of time. Our Plugin helps to save development time, again. The combination of VisionX with EPlug is awesome. The name of the Plugin is EPlug (not very creative but simple). It will be available in different editions: Lite, Pro and VisionX. The Lite edition will be free and doesn't offer full power but will be useful. The Pro edition won't have any limits but won't interact with VisionX. The VisionX edition adds interaction to Pro edition. It will be possible to use VisionX to jump to Source Code in Eclipse and to show changes directly in VisionX (means live live). At the end of the "new features" week, we'll introduce another great VisionX feature. It's the export of an application as desktop application. What does desktop application mean? VisionX usually creates 3-tier database applications. 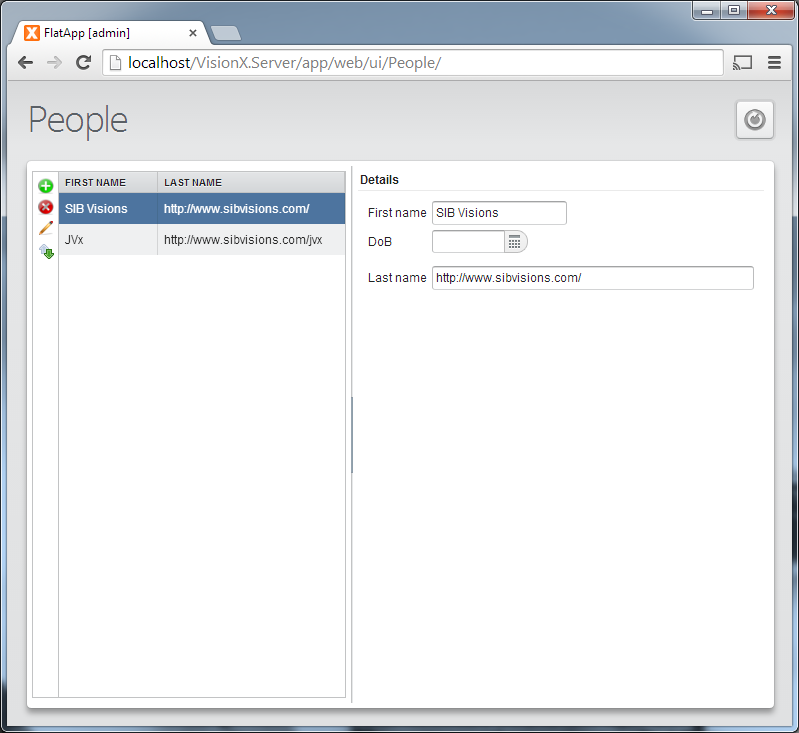 The GUI is separated from the business logic and decoupled from the database. The GUI usually runs on client machines, the business logic on application servers and the database could be on the same machine as the application server or could be a different server machine in your network. 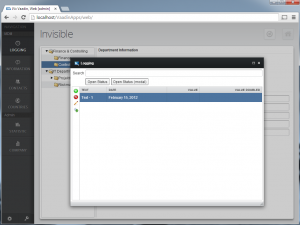 If you use our HTML5 launcher, the GUI and business logic will run on the application server. This means that the application seams to be 2-tier (Client/Server), but no worries the applications are always 3-tier. A desktop application should/could work without an application server because it's overhead for some use-cases. This means that the desktop application contains the GUI and the business logic. It directly uses/connects to the database and you could say that such an application is a 2-tier Client/Server application. A desktop application needs manuall "installation" and manual updates. If you have small departments and/or don't have a lot of infrastructure/servers, a desktop application might fit perfectly. All applications, created with VisionX, have an ant build file that makes it possible to create war files and do deployments. 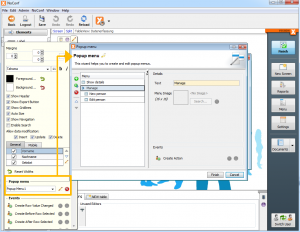 It's an easy task, for developers, to create a desktop application from the created files. It's enough to define the classpath that contains all libraries, use the right main class and add important start parameters. The steps are the same as for any other Java application. But our applications have some additional features like an application help. 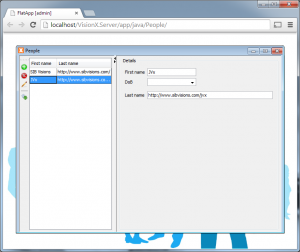 This help can be created with VisionX and it's an online help based on vaadin. The integration of an online help into a desktop application makes the task a little bit tricky. VisionX does all necessary steps for you and your desktop application will be ready after some seconds. The application is packed into a zip archive that contains an executable jar file (start via double click), a bat file for windows, a sh script for linux/mac and an exe file for windows. The installation is very easy because every modern OS is able to extract zip archives without additional tools. The next great feature of JVx is the customizable focus order. The focus order defines the navigation between components via Tabulator or Enter. If you press Tab in an Editor with index 1, the focus will jump to the component (e.g. an Editor) with the next higher index. If you didn't define an index, the default focus order of Java will be used. The designer shows the focus index and it's possible to set the index via customizer. 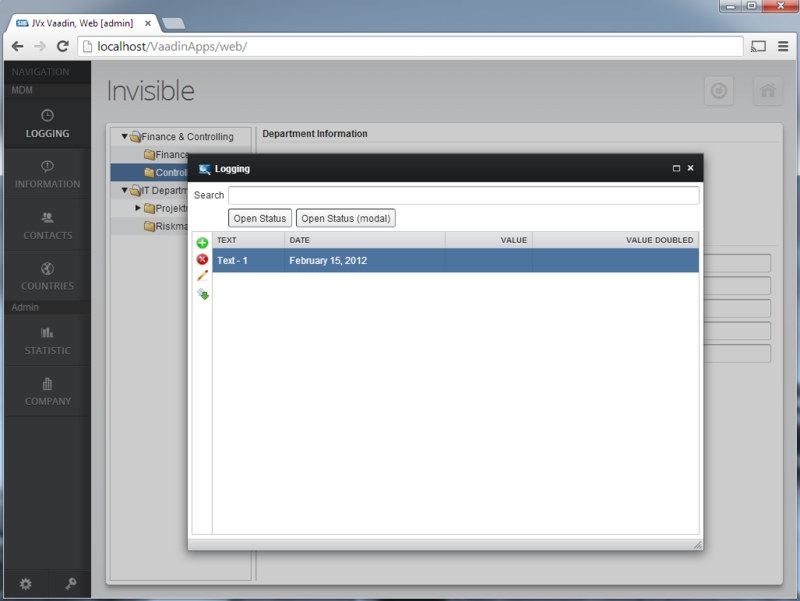 We have another useful VisionX feature for you in the queue. It's the support for popup menus. It'll be possible to create and use popup menus for UI components. We had to change JVx to support this feature. It's now easily possible to work with popups because UIComponent got a new method: setPopupMenu(IPopupMenu). So it makes sense that our application frame supports such specific work-screens. And the good news is that we've support for this. It's a screenshot from one of our test applications. The feature isn't generally available yet, but it will be part of the next VisionX release.